When organising an event, there’s a lot to deal with. This is why event professionals are Renaissance men. They are flexible, quick switchers, strong organisers and good communicators, excellent planners and stars in relation management. Yet, they often run into similar obstacles. Why is that? And what can be done about it? One thing is striking: almost all points are about internal collaboration, clarity and direction. Therefore, collaboration with clients and colleagues is crucial for the success of an event. Nevertheless, the activities of an event manager are often isolated from the big picture. How come? Another important factor is time. Because events are (too) often initiated ad-hoc, the event manager is likely to have a late start. The invitation or save-the-date must be sent as soon as possible, even though the concept for the day is still unclear. Due to this rush, neither the event professional, nor the initiator of the event, takes time to reflect on the objective of the event. And even if there is a clear objective, it’s often not shared (in time) with the responsible event manager. This gives him/her a feeling of always being one step behind, which is anything but motivating. Oftentimes, ad-hoc events are not part of the overall organisational strategy. And that while, in the current digital era, events as a strategic communication tool are becoming increasingly important. 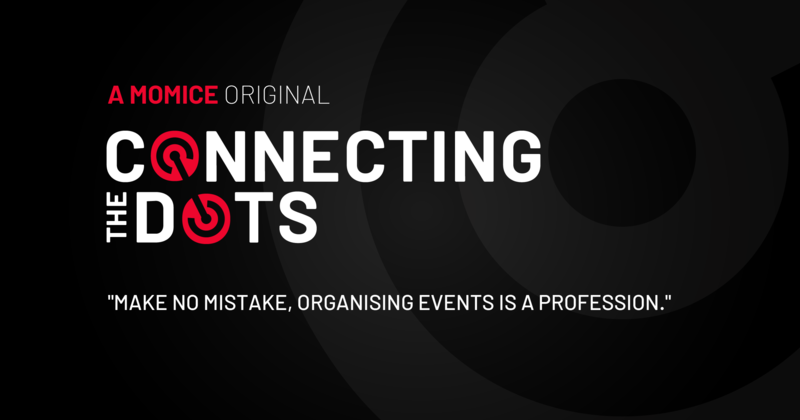 The importance of events often gets too little support within the organisation. The client is responsible for this! All parties involved should be informed about the importance of an event, so that the event professional receives the support and cooperation that he/she so desperately needs to complete the intensive job. As an event manager, you can arm yourself against all of this. You could for example take the initiative when discussing the event objectives, ask critical questions, ring the alarm in time, or start saying ‘No’. Just like Albert Einstein once said: “If you always do what you always did, you will always get what you always got.” It is important to take yourself seriously, in your position as event manager. This way, you will help you protect your own responsibilities, and the quality and outcome of your event(s). In addition, it is advised to invest in your relationship with the other stakeholders. Talk to them and inform them about your concerns and considerations. And explain to your client why sufficient support is necessary. In doing so, you immediately increase your visibility within the organisation. Show what you have achieved with your events! Last but not least, it helps if you know what you’re talking about. Do you evaluate your events? And what do you include in that evaluation? Marketers and strategists are interested in what they gain from events, or the Return On Investment (ROI). Often, measuring the ROI on events is considered difficult or even impossible. You, the event professional, have the opportunity to prove the opposite. By asking the right questions, you can gather information about the attendees’ experience and the outcome of the event. Keep in mind that event managers - just like any other professional - need software to measure the results. The clearer you can demonstrate the results of your event, the more valuable your input will be for the client! What event software fits your needs? Read more about it!